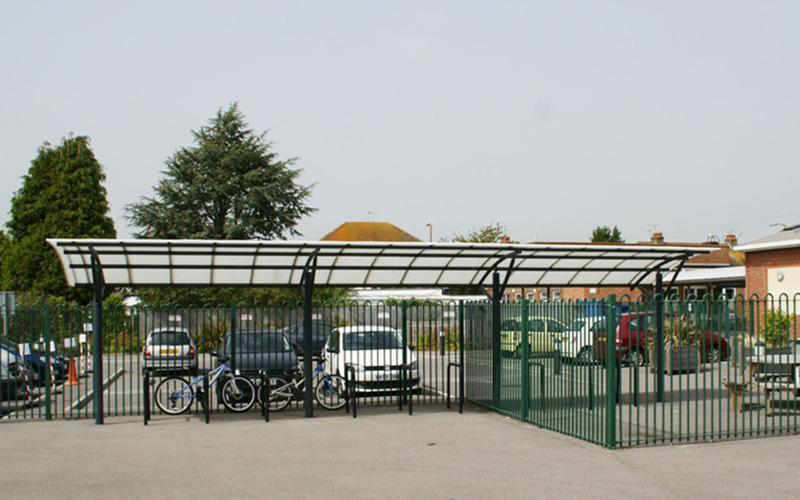 As part of a larger redevelopment project which included a steel playground canopy, Fordingbridge designed, manufactured and installed this freestanding steel cycle shelter. 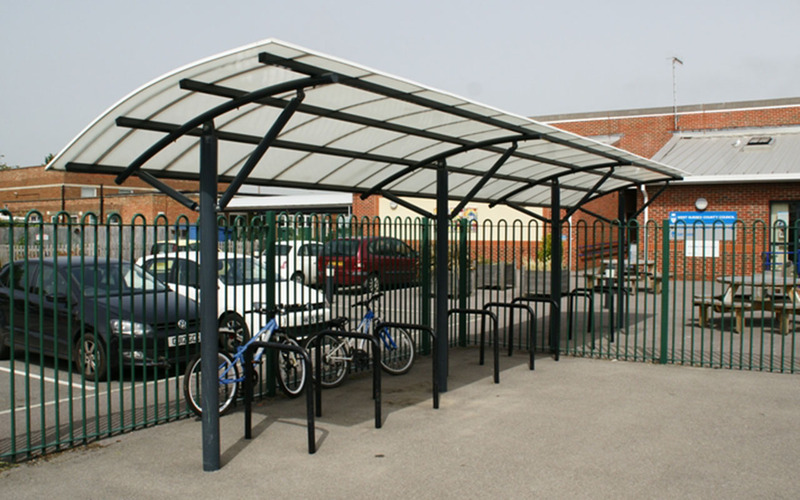 The shelter has been installed in such a way that allows for secure storage both outside the school gates, and on the playground side of the fencing, allowing pupils easier access to their bicycles for cycling proficiency sessions. 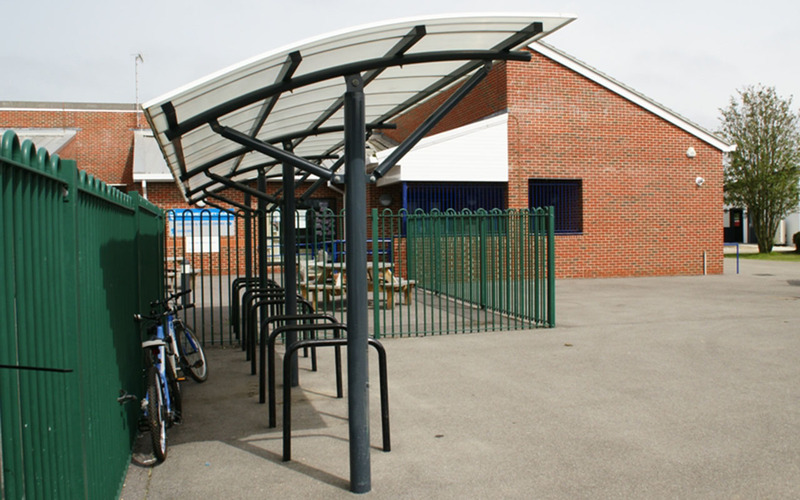 With roofing formed of UV resilient polycarbonate and the steel framing protected with a polyester powder coating, the shelter is designed to protect cycles and pupils from the elements for many years.